While speculation often reigns supreme when it comes to sour relationships in football, occasionally the truth seeps through. This usually occurs in moments of obvious dissent during match-days, and regardless of whether the foul dynamic in question is one that is shared between a player and a manager or players themselves, sparks always fly. The most high-profile clash of egos that has been seen of recent is the reported fallout between Jose Mourinho and Paul Pogba at Manchester United. With the Portuguese gaffer allegedly stripping the Frenchman of his vice-captaincy, it is becoming very hard to dismiss the rumors. Now, there may be visual proof of this bad rapport, as a recent training footage shows an interaction between the two. The icy interaction, prior to which Pogba seemed in a positive mood, clearly had a momentous exchange of words. 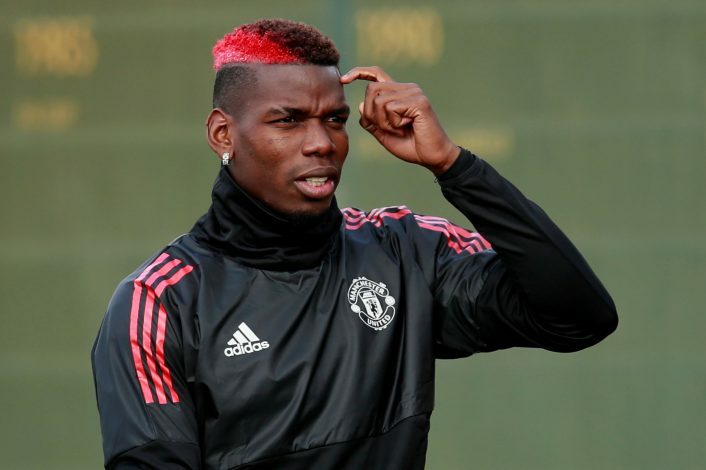 Throughout the apparent spar, Pogba appeared to be defending himself, akin to his encounters with referees during his on-field antics. However, it is important to note that without the context of the actual words that were exchanged, interpreting the encounter as a major fallout between the duo is also slightly wishful thinking. Further still, the speculation that surrounds the duo adds to the apparent drama, and one can be forgiven for reading into the situation too much. Then again, the body language of the Frenchman is highly suggestive, as is the cold posture of Mourinho. While the gaffer is renowned for his hard love, this is one saga where the kind of words they exchange can have large implications. An exit from the Carabao Cup after a defeat to Derby County, while not a huge loss, still doesn’t look good on Mourinho’s result sheet for this season. At the same time, neither does Pogba’s attitude. Is Old Trafford not big enough for both of them?